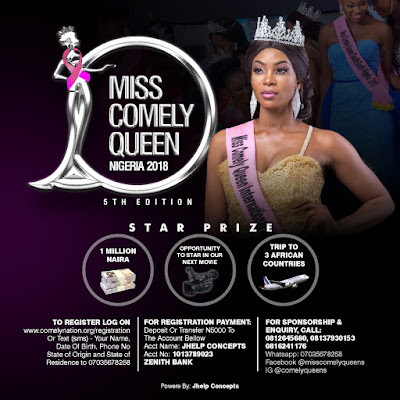 Miss Comely Queen Nigeria is an annual beauty pageant that emerges beauty queens that take giant strides against breast cancer within and across Nigeria. 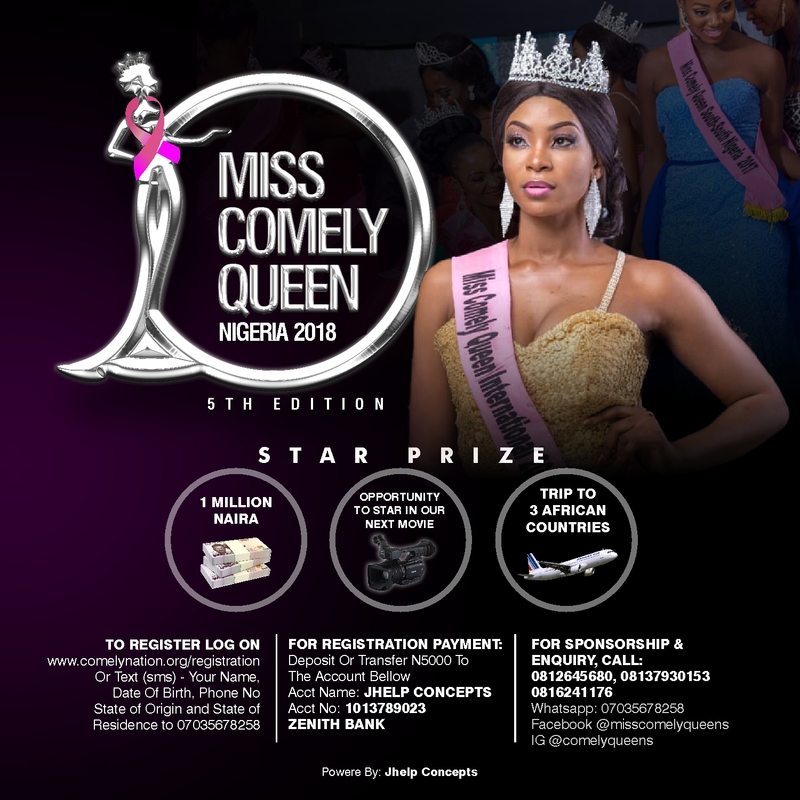 Miss Comely Queen Nigeria Beauty pageant joins hands with local and international organizations to create awareness on the causes, prevention and early signs of Breast Cancer. >> Championed over 30 Breast Cancer Awareness projects across several cities in Nigeria from 2014 till date. Yes, this is why we are different... Comely is not just a beauty pageant. Miss Comely Queen Nigeria is a Great Vision. Once payment is made, Call or Text 07035678258 for Confirmation. For more Enquiry, Pls Call; 08126456380, 08137930153, 08162141176.